New Notes Mode in Planimeter v4.0.0 for Android. Android version of Planimeter has been updated with requested Notes Mode. This mode allows you to add notes for each pin or view / edit previously attached notes. This feature can be very useful for mapping, route or trail planning, address records, fields fertilizing and crop planning, road repairing and many other tasks, that benefit from adding extra info or description to your measurements or pin layout. Measurements with attached notes can be saved as KML locally or shared by e-mail. 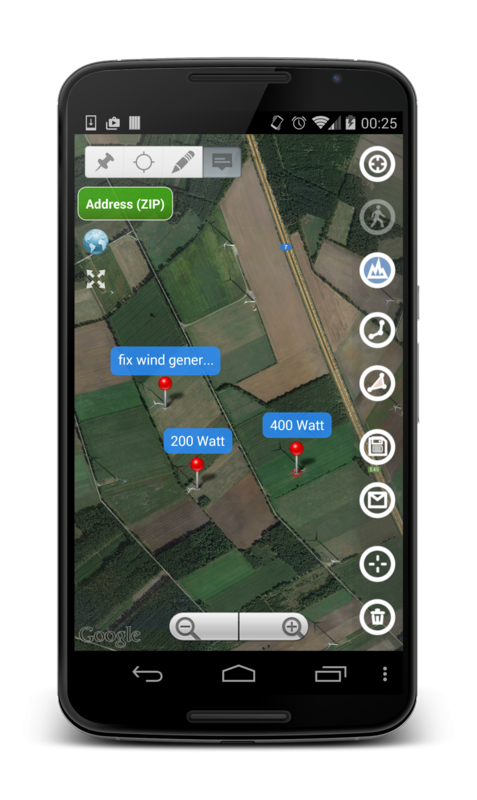 You can always view and edit notes in Planimeter, but you can also see them when importing Planimeter KML file to Google Earth mobile or desktop application. 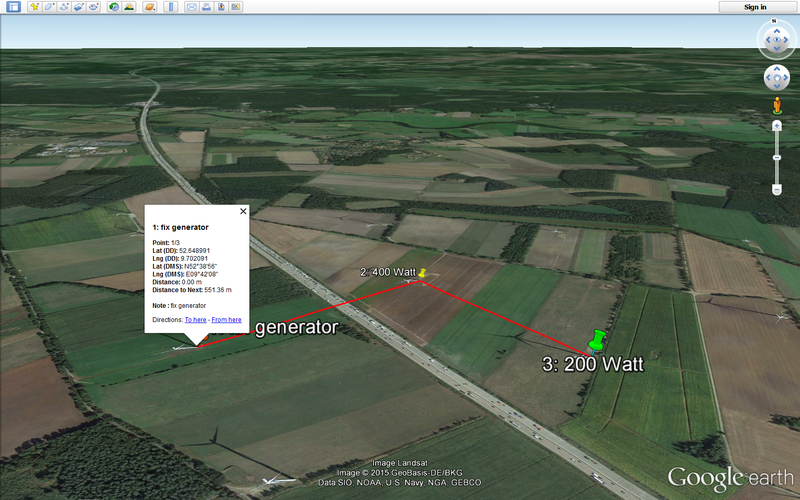 Planimeter KML file with notes imported to Google Earth desktop application. (!) Attached notes are visible only if Notes Mode selected to keep other modes clean and convenient for measurements. * You won't be prompted to add notes in Edit and GPS Tracking modes. If Address search has been used to add a point, address line automatically suggested as a note. We have requests from users, who willing to pay more for having specific extra features in the app, but we try to keep the price of Planimeter relatively low and affordable for majority of mobile users. Those users, who just need core measurement functions, can start with the basic version, available on the market. Extra paid features are offered in the app, if you want to customize and extend basic functionality of the application. Notes Mode is one of such paid features. By purchasing extra features you are also helping us to support Planimeter and contributing to further app development and improvements. We hope Notes Mode is an interesting addition to Planimeter toolbox and we are looking forward to your feedback and comments.